2. Minutes of the Closed Meeting on 5th January (previously circulated) to be agreed. 3. Any Matters Arising other than to do with our local Health Service, must be postponed. 8 pm End of Business Meeting. Councillor Tim Hall will now chair the meeting and invite our speaker, Mr. James Blythe, to start. Mr. Blythe is the Director for Commissioning and Strategy for Surrey Downs Clinical Commissioning Group and is in charge of the Review of Service in 2015/16. He will explain some of the proposed ‘Transformation’ of services that are under consideration in the Review. Representatives from Central Surrey Health and the League of Friends of Leatherhead Hospital will also be in the audience. Councillor Tim Hall will direct questions to the speaker and to those attending in the audience after the presentation. Any problems may be sent via “Contact” on our website or by post into our mailbox in the Institute. On Wednesday, 21 January, Surrey Police was made aware of a suspicious incident which is said to have occurred outside of Leatherhead Leisure Centre earlier that week. Two schoolgirls reported being approached by a man in a car which was parked outside of the complex at around 8pm on Monday, 19 January. Following this allegation a detective from East Surrey CID investigated the incident, working with staff from the leisure centre and the parents of those involved. During the investigation, which included viewing of CCTV, it transpired that no criminal offence had taken place and the events were not as originally reported. Mole Valley Neighbourhood Sergeant John Pearson, said: “No doubt this incident caused concern in the local area but I would like to reassure the public that we carried out a thorough investigation into the claims and can confirm that no criminal offence occurred. “Surrey Police will always take allegations of this nature extremely seriously and will investigate fully any reports which indicate that the children in our community could be at risk, however we do not now believe any child was in danger. Uniformed officers, detectives from CID and Crime Reduction Advisors are continuing their fight against fraudsters targeting the elderly and vulnerable in East Surrey by educating shoppers in Leatherhead. Officers descended on various banks in the town including Santander, HSBC, Nat West, Nationwide and Lloyds TSB for several hours on Thursday, 22 January. During this time they spoke with numerous people and handed out leaflets and information booklets as part of the engagement event. Leading the operation for East Surrey, Detective Chief Inspector Antony Archibald, said: “Events like the one held in Leatherhead are an excellent way of engaging with the public and spreading the message about these despicable crimes. “Our officers and detectives were able to say ‘I’m a police officer and I would never ask you for bank security information or for you to withdraw money for me’ a message which I hope people took notice of. If someone does purport to be a police officer and asks these questions the answer is simple, it is a scam. “Thankfully we continue to receive calls from people who tell us they have received a call of this nature but they suspected fraud and did not hand over their details or money, we need everyone to hear this message, because just one more victim is one too many. “We all have a part to play in preventing these offences which is why we spoke to a range of people during our engagement day, we educated those likely to be a target as well as urging others to speak with their elderly relatives and friends about the dangers these fraudsters pose. “The media have been fantastic in helping us spread the message to their audiences and I hope we can continue with this coverage until everyone has heard this message and those responsible are caught. Although the offender usually claims to be a police officer from a London or other local police station and of Detective Inspector or Detective Chief Inspector rank using various aliases to convince the victim. It is believed a number of groups of people may be involved in the offences. On Tuesday, 20 January a woman in her late 60s from Epsom received a call but no money was handed over. On Thursday, 22 January a woman in her late 80s from Leatherhead received a call but no money was handed over. On Friday, 23 January a man in his early 60s from Epsom received a call before being conned out of handing over security details and around £40,000 being removed from his account. The same day, a woman in her 90s from Leatherhead also received a call but no money/security details were handed over. On Saturday, 24 January a woman in her late 80s from Ashtead received a call and handed over £2,800 to a courier. As part of their investigation into these offences officers are releasing a CCTV still of a woman they would like to trace as they believe she may hold valuable information. Anyone who can identify the woman in the attached image is asked to contact Surrey Police quoting reference 45140088013. 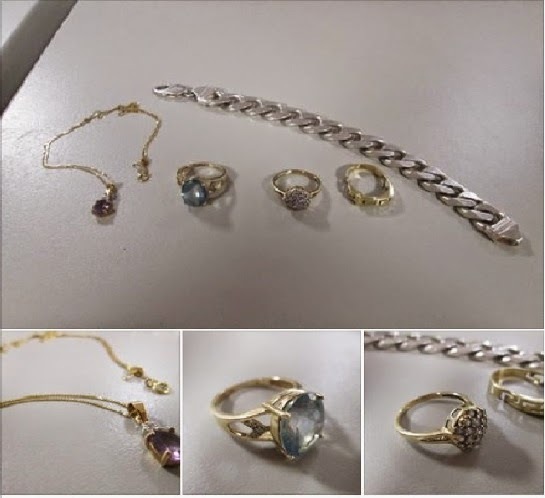 Surrey Police: Do you recognise any of the recovered jewellery? We need your help…Do you recognise any of the jewellery in attached photo? The items below were recovered during a recent investigation following a burglary. Any information please contact DC Evans on 101 and quote reference number 45150000126. There have been instances of purse theft out of handbags and pockets in Leatherhead town recently. It would seem that the victims had just taken out money from a cash point and were then followed and had their purse taken from their bag. Please take every care when using cash points to obtain money. Always be aware of people around you. If you think people are too close it is acceptable to politely ask them to move back. NEVER be distracted whilst your transaction is in progress. Put your money straight into your pocket or purse/wallet along with your card. If you place your purse into another bag such as a handbag always make sure your purse is put at the bottom of your bag and keep your handbag zipped up, or fastened at all times. If possible try to use cash machines inside your bank if they are open. If you think someone is acting suspiciously or tries to distract you at a cashpoint, or, you have been the victim of a crime please call police on 999. Surrey Police: Surrey Police detectives are continuing to urge members of the public to remain vigilant after scams. Surrey Police detectives are continuing to urge members of the public to remain vigilant following several recent incidents where fraudsters have attempted to con Dorking residents into handing over cash or bank cards. The first incident occurred in a road off Holmesdale Road at around 12.40pm on Tuesday, 30 December, when a woman was contacted by a man requesting her bank details and asking her to go and get money out from her bank. The woman rightly had concerns about the authenticity of the call and contacted Surrey Police. Another incident took place at the Nat West Bank in the High Street, Dorking at around 9.50am on Wednesday, 31 December when a woman went to the front counter and stated that she had received a phone call asking her to take out £10,000. The bank quickly phoned the police and the fraudulent request was prevented. Surrey Police continues to investigate a series of offences across the county where fraudsters have been obtaining bank details, cards and cash using bogus telephone calls and couriers. On some occasions victims report they have received telephone calls from someone claiming to be either a police officer or bank worker who then tries to convince them to hand over large amounts of cash and bank cards. The victims are often told that their bank cards have been used by somebody who is in custody and the fraudsters then ask the victim to phone the bank to cancel the card and say they will send a courier round to collect the card. Meanwhile the fraudster stays on the line and obtains the victim’s bank details whilst they think they are phoning the bank. A courier then calls at the victim’s address saying they have been sent by the police to collect a parcel – the envelope containing the cards or cash. Richard Hamlin, Inspector for Mole Valley Safer Neighbourhood Team says: “Thankfully on both occasions in Dorking recently, the victims did not fall foul to these fraudsters and did not hand over any cash. “But we would like to highlight the fact that people should never give out their personal bank details over the phone or believe they need to get money out of their bank account at the request of a telephone caller. “It is concerning that we are seeing continuing fraudulent attempts to con people to hand over their cash across the county and we are again urging residents to report any suspicious calls from people claiming to be a bank worker or police officer as a matter of urgency. 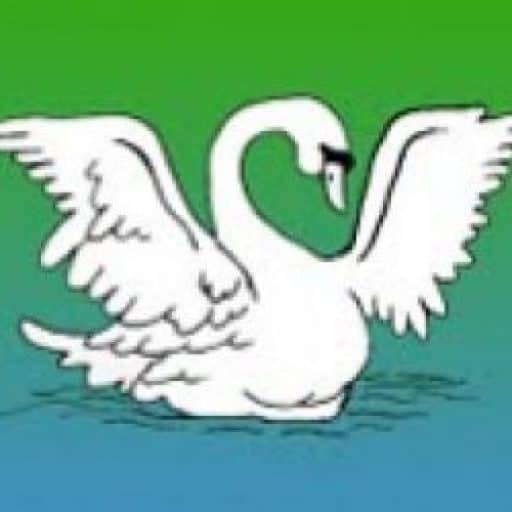 “The callers will often sound very genuine and the version of events they describe might seem plausible but I would like stress that these requests are not genuine and that no police officer or bank would operate in this manner and would never require a customer to confirm their PIN details or withdraw money over the phone. If you have any information relating to these or similar incidents in Dorking please call Surrey Police on 101 and quote ref: 45140110325.